1. 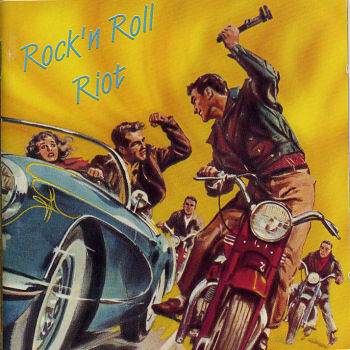 Stoltz Brothers Rock-n' Roll Riot Rodeo (N.S.) 45-RO.188 1958/Oct. 6. Brown, Tommy That Cat K&B (Texas) 101 1960/Aug. 11. String Kings Bloodshot Gaity (Minn.) GA143/4 1959/Apr. 14. Newman, Carl Rockin' And A Boppin' Trio (Ill.) TR-849 1961/Jan. 27. Blank, Billy Hard Luck Big B (La.) 45-556 1960/Dec.